We've been listening to you feature requests, suggestions, ideas and critiques since the very first day we launched Night Eye. The user feedback is our inspiration, motivation and most importantly our guidance. 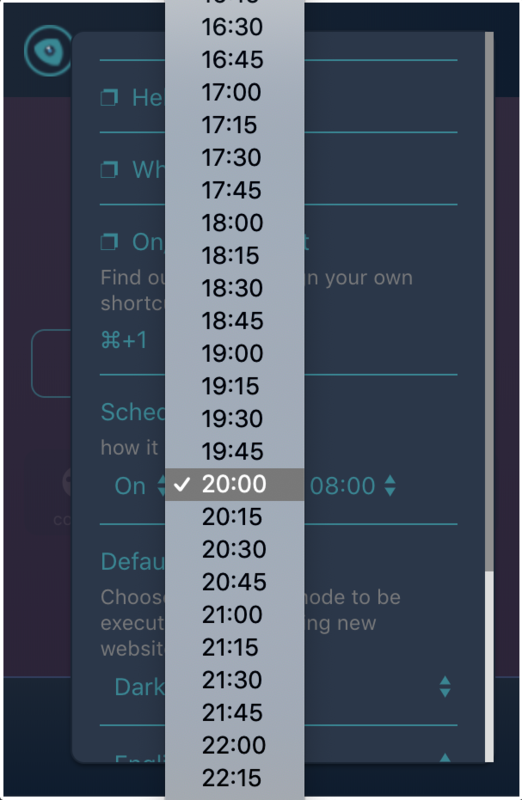 Many of you have requested the schedule feature. 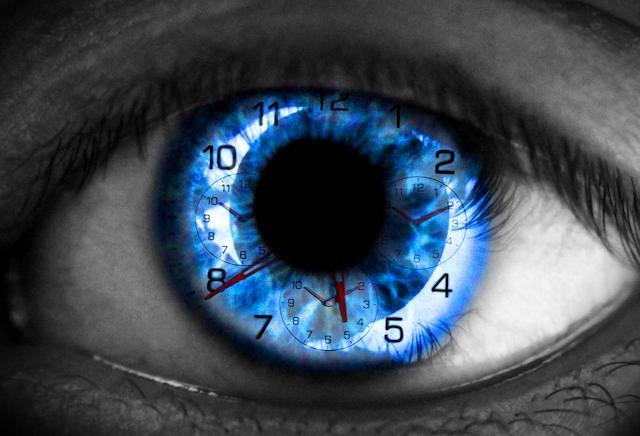 The ability to set certain time periods during which Night Eye to be active or not. In other words, to have dark mode automatically enabled on any website you visit from 20:00 pm until 08:00 am. Outside of the selected period, Night Eye shall remain deactivated and all the websites you open will be presented in their original design. "Would be great if I can set time schedule for turning on extension. Something like on f.lux"
"If you could add timer feature that would make this extension a really big deal! Something like turn on Night Eye from 9pm to 5am. 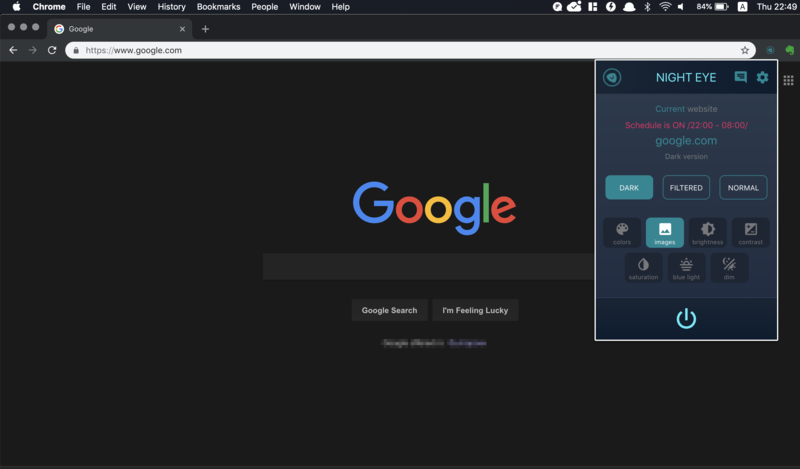 That would be awesome :)"
Scheduling dark mode feature is now live! 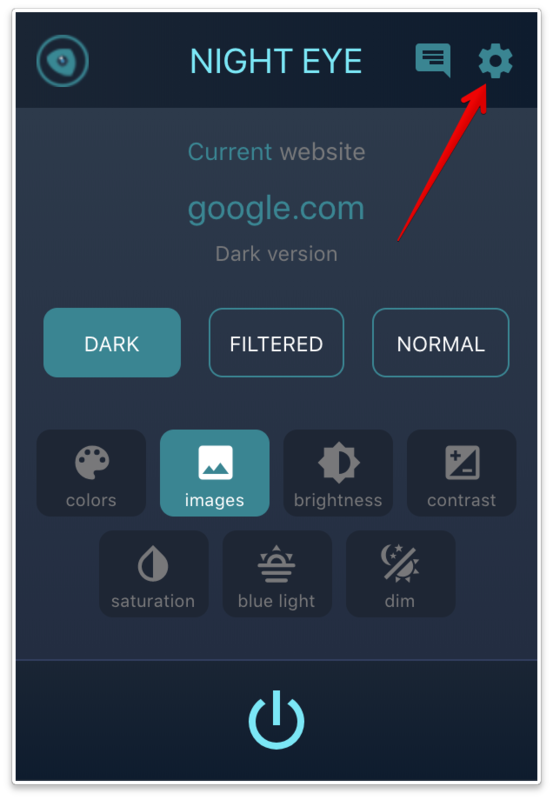 If you've set 20:00 to 08:00 in the schedule, Night Eye will enable dark mode on any website ONLY during this period. Keep in mind that the first hour is when Night Eye should start working and the second when it should stop and show every website in its normal mode. You can always do it by clicking the big Turn On button. Keep in mind that this will disable the schedule and you will need to re-enable it again from the options menu. 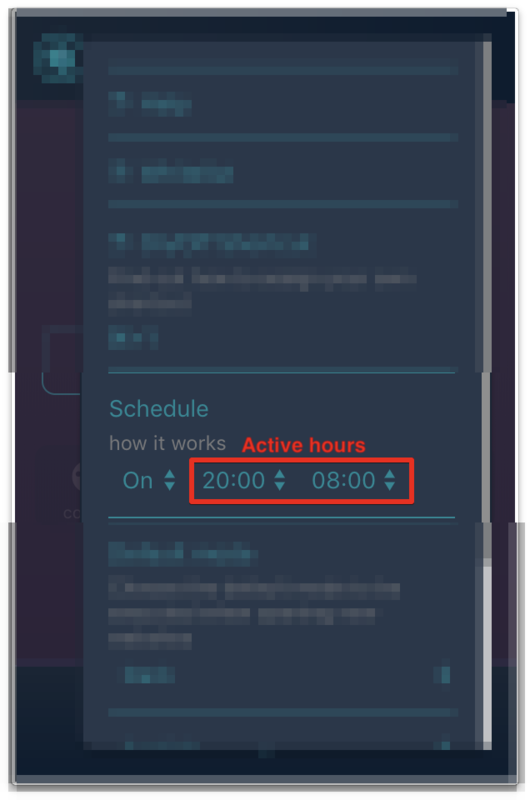 If, at any point, you wish to turn off the schedule feature, you can do it by either going to options or enabling dark mode during the inactive hours. 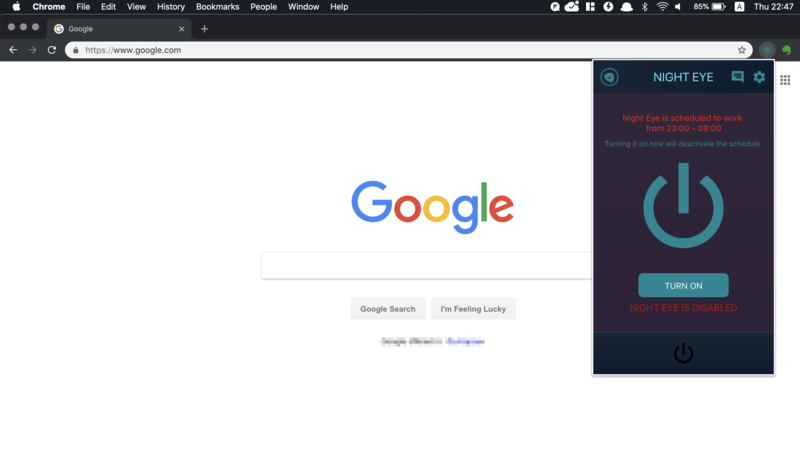 If you have been using Night Eye for a while now, you probably know that you can always contact us via the chat widget on the website or directly into the extension via the built-in chat support. We are more than happy to hear your ideas, suggestions or critique.